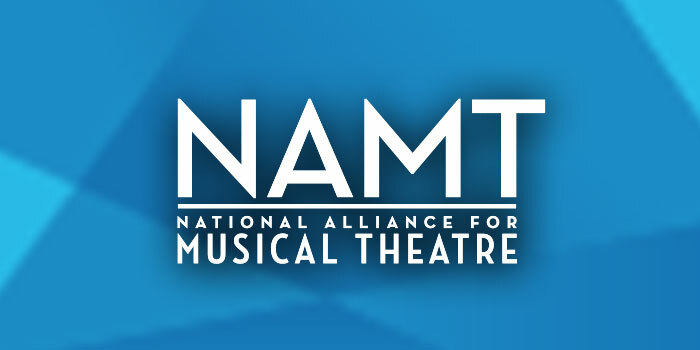 The National Alliance for Musical Theatre (NAMT), founded in 1985, is a not-for-profit organization serving the musical theatre community. Our mission is to advance musical theatre by nurturing the creation, development, production and presentation of new musicals, and to provide a forum for musical theatre professionals to share resources and exchange information. 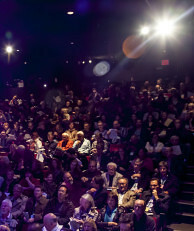 Sponsorship opportunities are available for the Festival of New Musicals & Fall Conference. Industry professionals at the 2014 Festival of New Musicals. Photo by Ric Kallaher. By sponsoring NAMT’s Festival of New Musicals and Fall Conference, you will have valuable, personal access to NAMT’s membership — 220 organizations and theatre professionals across the country and abroad, as well as the larger industry attending the Festival. The conference attendees are the top development decision-makers in their organizations, as well as executive directors, artistic directors, managing directors and more, all of whom work with some of the most well-known names in the theatre industry. Exhibitors at the Fall events have the opportunity to display their products and services and connect directly with attendees throughout the four days of NAMT events. Contact Us To Learn More or to Join Us in New York! Ad sales have not yet opened for the 2019 Festival of New Musicals. If you have any questions, please email info@namt.org. 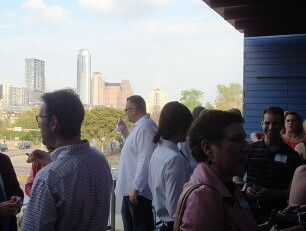 NAMT members network at the 2014 Spring Conference kick-off cocktail party, hosted by ZACH Theatre. Special rates are available if you commit to sponsoring both Fall and Spring events! Our Spring Conference focuses on administrative and management topics, such as marketing and fundraising and is attended by 100 executives and department heads. Sponsor and Exhibitor opportunities in the Spring are similar to those above. The 2020 Spring Conference will be hosted by Chicago Shakespeare Theater on Navy Pier in Chicago, and The Marriott Theatre, in the suburb of Lincolnshire, on the topic of the full patron expereince, combining marketing and fundraising. Details on supporting our Spring Conference will be online in late fall. Please contact Development Associate Jen Whitton at jen@namt.org or (212) 714-6668 x16 at any time for more information. Advertising is available year-round in our News & Notes and New Works News, which are sent to over 1,000 of our members and Festival alumni writers monthly. For more information please contact Membership Director Adam Grosswirth at adam@namt.org, or click here to buy an ad now. Contact Development Associate Jen Whitton at jen@namt.org or (212) 714-6668 x16. We are happy to discuss specific benefits and design a package that will suit your needs!